Hello beautifuls, are you preparing yourself for the upcoming summers? One piece of accessory that come in our minds, irrespective of if it is summer or winter, is a scarf. 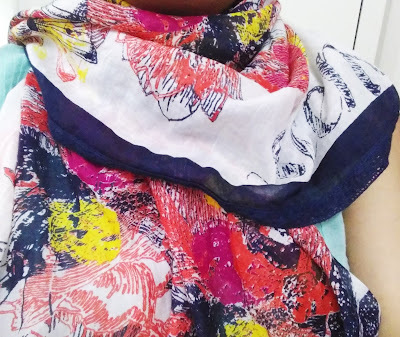 Scarves can protect you from extreme weather conditions, no matter if you are trying to get though a windy day or travelling under grueling heat. Not only limited to that, scarves can actually take your style quotient to a new level. A smartly woven and designed scarf can actually turn a Plain Jane to a striking Diva. 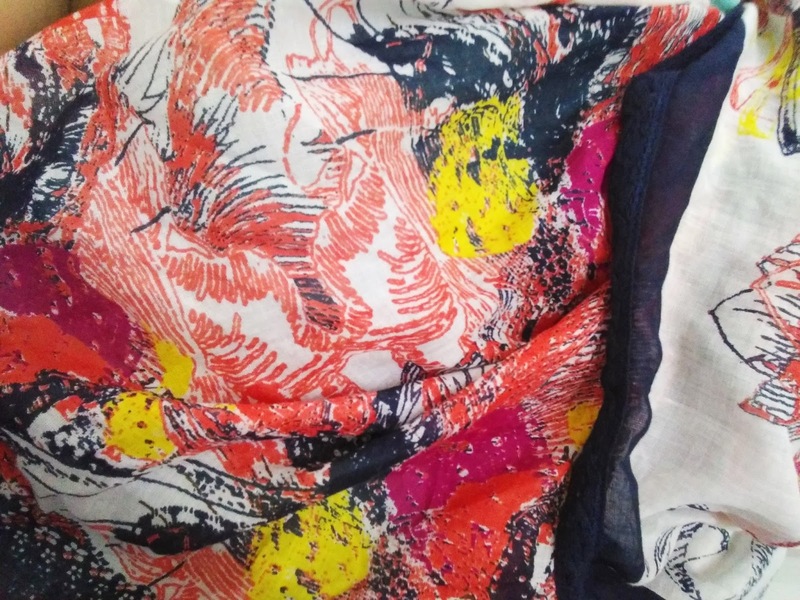 Finding the right scarves can be an arduous job in India, mostly because they are either too uninteresting or too expensive. However, recently I have come across an online portal, Iralzo that offers some really outstanding scarves. 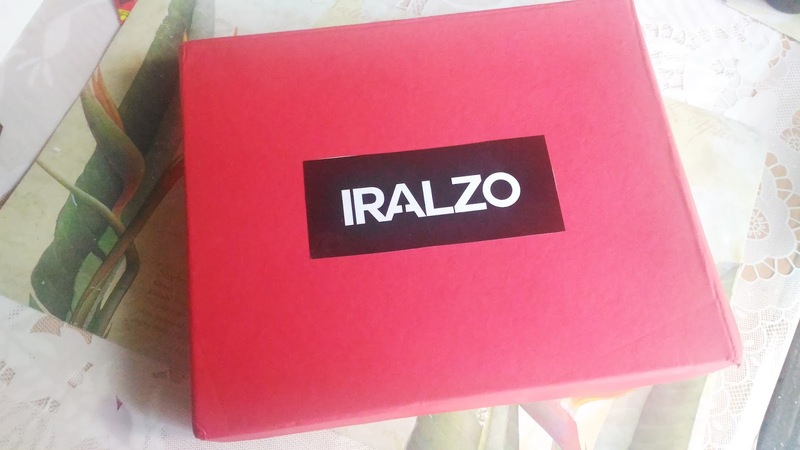 Iralzo is a young and passionate online fashion brand. We are a sheer and a forward thinking accessories and clothing and accessories brand. Here at Iralzo we inspire…we create…we design something new every day. We have on-board an optimum selection of apparels and accessories keeping in mind all of the latest trends in the world of fashion. Personally I tend to invest bucks on accessories. Scarves are something that I love using too. 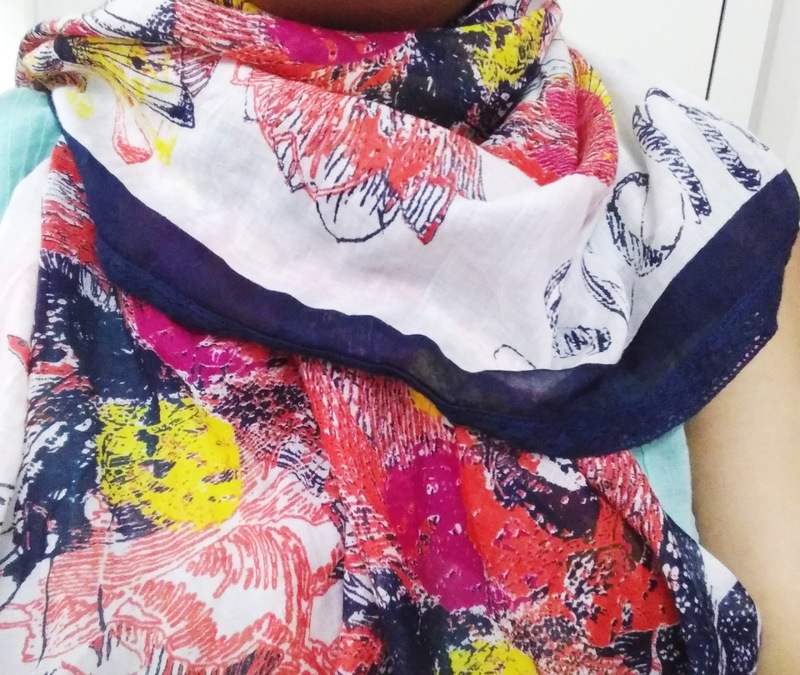 Scarves can be your saviour for any occasion, be it a simple office wear or a plain Tshirt, just wrap along a scarf and you are bound to be the talk of the town!! While my stay in Belgium, I used to be friends with a French lady, Michelle, who was of my age. I had other friends in the group, who all were either English or Flemish(Belgian). All of us used to dress up casually, in plain shirt and denims mostly, including Michelle. But that lady always used to stand apart from the rest of us, and the only piece of accessory that she carried around most of the time, was her beautifully designed scarves. That is the power of a good scarf, it can be a style statement on its own. 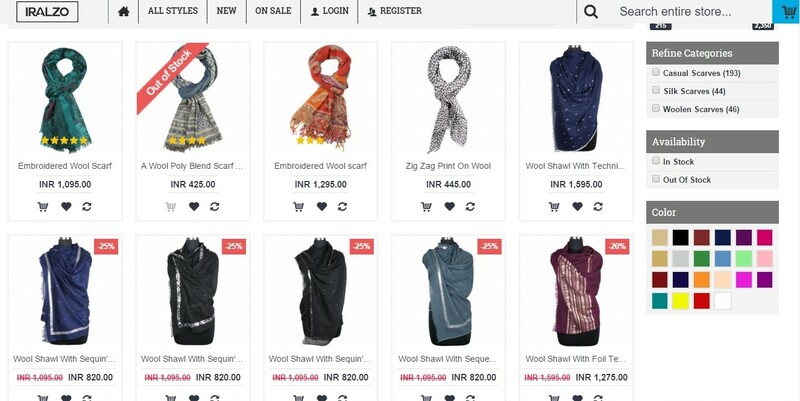 Iralzo has an outstanding collection of scarves, both for men and women, from the range of Rs.250 to Rs.2500(approx). You think of any design, Iralzo has it for you. Staring from smart Scottish checks to flirty floral to quirky prints or vintage polkas- you get every kind of scarf at Iralzo. Shopping from Iralzo, is like a cake walk. 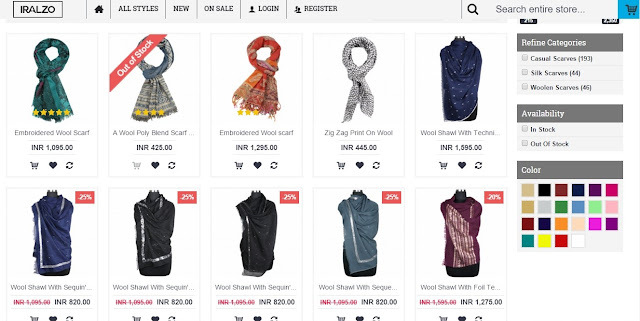 You can select your scarf on the basis of different categories like popularity, Price, rating and more. Once the selection is made just add the item to your cart. If you are not sure of your purchase you can either add that to your wishlist or do a comparison. Once you are done with your checkout, the payment option is also easy and smooth with secured transaction process. What is more interesting is the eligibility to get a discount voucher with every purchase, so that the next time you purchase something you get a discount. Iralzo is not only limited to selling scarves. They have clothing, hair accessories, clutches, wallets and sarongs. In one word it is a one stop destination for your fashion needs. I have done my selection of scarf from Iralzo. Have you?